Creating art is not only a fun activity for passing time but also allows a person to work their brain in different ways and enhance its working. Art originated on Earth as old as the time since man has been existing here. Paintings and shapes were drawn on rocks, depicting a story or simply drawing elements to add beauty there. There are several forms of art. One of them is Origami which is perhaps a 1000 years old. It is an ancient art of Japanese paper folding and creating various shapes from it. To some the art of origami is very simple, and to others it is something not everyone can marvel at. It’s a way of entertainment for some and for others it provides a calming and relaxing effect. Origami is the unique among all other paper crafts as all it requires is a piece of paper and the skill to turn that paper into a unique shape. It doesn’t require any cutting, gluing or drawing on the paper. For a person to be able to create an origami, he or she is not required to have any special skills or artistic talents. However, you will definitely require a lot of patience and perseverance. The word Origami comes from the Japanese Language. “Ori” means folded and “kami’ means paper. Paper folding is a traditional folding art which is given by the Japanese culture. However, it doesn’t exist in Japan alone. You can learn to make origamis easily. A very easy one which can be made by a beginner is a Paper Boat. Boats are perhaps favorite of nearly child. When you are a kid you like playing with boats in your bath tub. That might have been made of plastic but now you can make one from a page which will also float. If you want to keep your boat floating for a long time, you can color the bottom of your boat with crayon and it will float for a long time. Also be sure that you don’t splash water in the paper boat, as once it gets wet from inside, it will no longer be able to float even if it has crayon on the bottom. Making the origami boat is very simple. You will need a rectangular piece of paper and any rectangular page of any size will work for you. 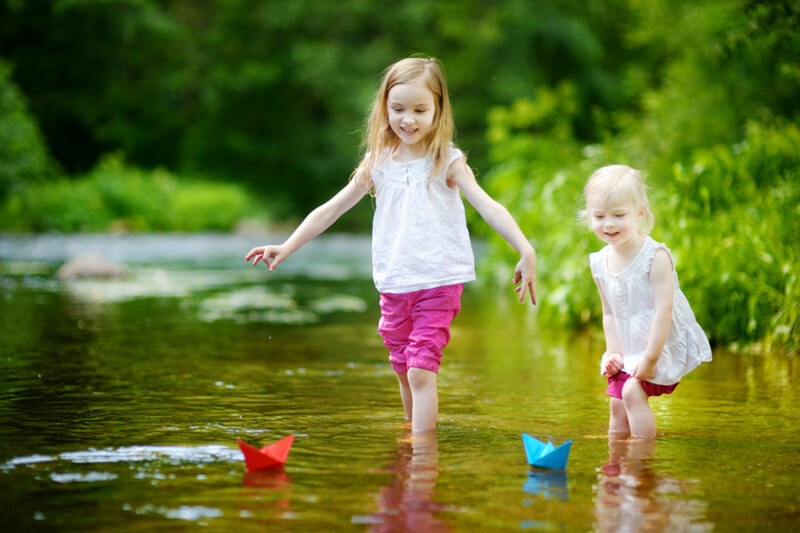 Once you have the paper you can start making your own paper boats which will also float in the water. Take the sheet and fold it in half to right and then unfold again. From top to the bottom, fold it again. Then fold the upper and right corners to the middle of the page. Your paper will now be in a triangular shape. There will be a strip on the bottom, fold it upwards and then do the same to the strip on the other side as well. Open the paper completely and then collapse it into a diamond shape. Fold the bottom corner of the diamond shape to the top and then turn over the figure. Similarly fold the other corner to the top as well. By now you will have a shape which will be resembling the shape of a hollow boat shape. Grab the inner two corner and pull it apart slowly and then flatten the shape well. Your boat is ready to float with you in your bath tub.